I’ve just come back from a weekend in London with my family and 2 young boys. We went over the May bank holiday weekend, so had a bit longer than a ‘normal’ weekend, but had a great time exploring the city. Following on from our visit I’ve pulled together this itinerary for a weekend in London with toddlers. It includes travelling on lots of different modes of transport (we all know how much toddlers love trains, buses, boats and the tube! ), and has plenty of playground stops built in. So here goes, the perfect itinerary for a weekend in London with toddlers. Spend the morning travelling to London. If you are travelling by train, take a look at the London Days Out Guide beforehand and print off / download some of the 2 for 1 vouchers which are available to people travelling by train. There are also discounted restaurant vouchers too. As soon as you arrive, head to the hotel and drop your bags off. Where To Stay In London With Toddlers? We’ve stayed at the Premier Inn London Bank (Tower) the last 2 times we have visited. 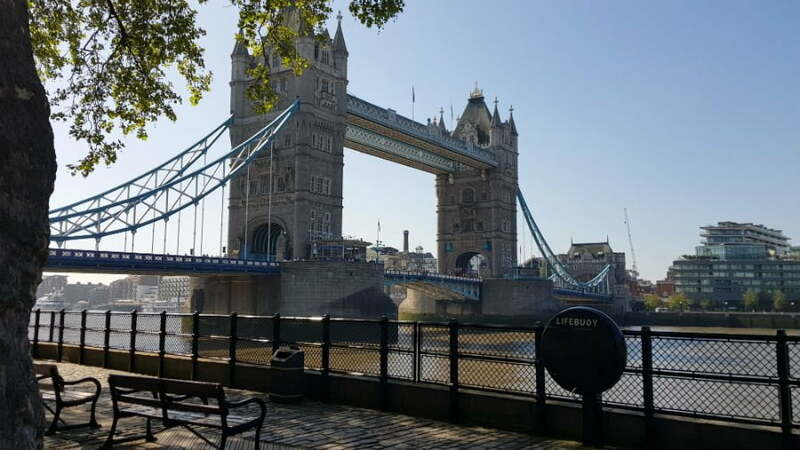 It is in a really good location – about 5 minutes from Bank Tube station which is one of the largest Tube stations in London, and about a 5 minute walk to the Tower Of London and the River Thames. It is really quiet around that area on a weekend when the City offices are closed, but there are plenty of sandwich shops around, and it is about a 5 minute walk to a Pizza Express. 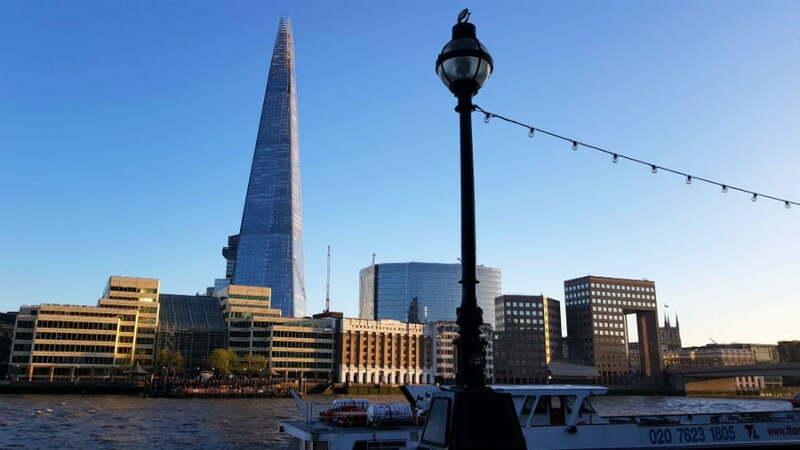 Plus you get fantastic views of the Shard at the other side of the river! We’ve also stayed at the Premier Inn Bankside too. Again, this is fairly quiet as it is located in a pedestrianised area. Breakfast is served in an adjacent pub, and the river is moments from the river. The Thames Footpath is outside the hotel and is traffic free so you can take your little one for a walk along there, where you can get good views of HMS Belfast. The nearest Tube to the Premier Inn Bankside is London Bridge, where there are really good connections to the mainline stations. Another option is the Park Plaza London Waterloo. Toddlers stay for free, get free breakfast, and families can stay in the special family studios with a kitchenette. Toddlers get a free welcome pack at check in too! For something a little bit more luxurious, check out the Royal Garden Hotel in Kensington. There are spacious family rooms, micro scooters to borrow to whizz around Hyde Park, children’s entertainment and free milkshakes! Catch the Tube up to Westminster and tick some of the most famous attractions. Admire Big Ben when you come out of the Tube, tell your toddler about the Houses of Parliament, and then head northwards towards Downing Street. It is really busy around this area, so make sure you keep your little one close as you move around. Downing Street is actually set quite far back off the roadside, and is surrounded by railings and the police so you can’t actually see much, but next to Downing Street is Horse Guards Parade which toddlers will love. Outside Horse Guards Parade, there are 2 beautiful horses which toddlers can get close to and have their photo taken with before you turn left and walk towards the parade ground where Trooping of the Colour takes place. Along the way, you will pass some soldiers which little ones can see and have their photo taken with, before you get to the parade ground which is a big, wide open space where you can let go of their hand briefly and let them have a little run! This beautiful square was where the beach volleyball took place during the 2012 Olympics, and is backed by the London Eye. Top Tip – Lots of visitors to London go to see the Changing of the Guard outside Buckingham Palace, but there can be large crowds making it difficult for little ones to see. An alternative, particularly for toddlers who love horses, is to head for Horse Guards Parade where the Queen’s Life Guard change at 11am Monday – Sat and 10am on a Sunday. There are smaller crowds and no railings between visitors and the guards taking place, and the whole event takes about 30 minutes. Combine this with a visit to the Household Cavalry Museum where you can see the horses being looked after in their stables through a glass partition. After Horse Guards Parade, it’s time to check out one of London’s famous royal parks – St James’s Park. This 57 acre park has a small lake which is home to one of its most famous residents – pelicans. Walk through the park looking for the pelicans, ducks and other birds before reaching Buckingham Palace. See if the Queen is at home before heading back into the park for a bit of playground time. There is a playground with a large sandpit, slides (and children’s toilets) with views towards Buckingham Palace. After all this wandering around, toddlers will be ready to let off some steam so relax and let them have a play. Top Tip – Don’t miss the pelican feeding in St James Park between 2.30pm and 3.30pm daily. After playing in the park, it’s time to take your toddler to see the bright lights of Piccadilly Circus. Piccadilly Circus is about a 10 minute walk (a bit longer with toddlers!) from St James Park and is one of London’s most popular tourist destinations. This bustling square is the home of the statue of Eros and the famous advertising boards. You’ll be getting hungry by now, so for special occasions head to the famous Rainforest Café which is about a 5 – 10 min walk from Piccadilly Circus on Shaftesbury Avenue. 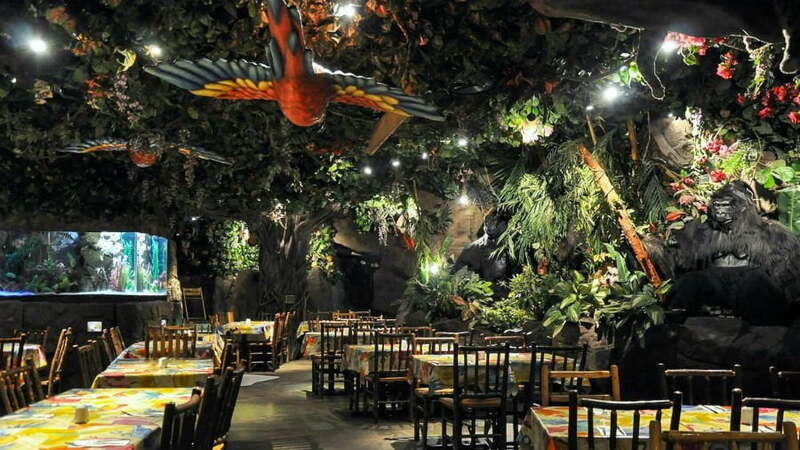 The Rainforest Café is designed as an exotic jungle with the sights and sounds of the Amazon rainforest. You can enjoy your meal surrounded by the sounds of parrots, monkeys and waterfalls before the lights go dim as a jungle thunderstorm takes place! 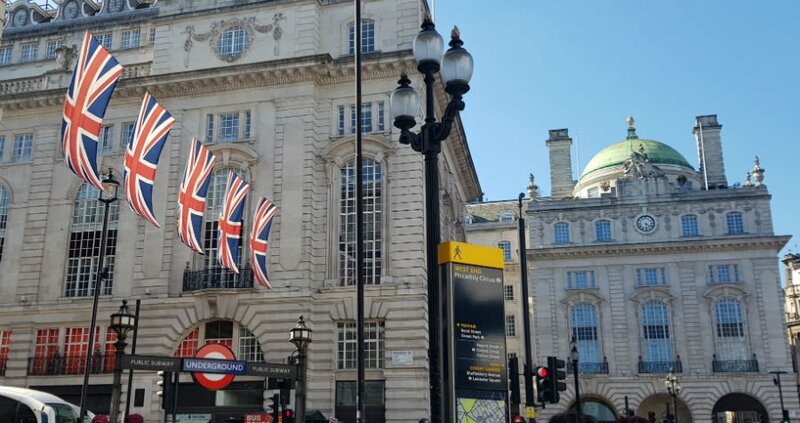 Otherwise, there are loads of restaurants around Piccadilly Circus where you can grab some food, or if you fancy eating somewhere a bit quieter you can head back to the area around the hotel. Get up nice and early ready to make the most of your full day in London. After breakfast at the Premier Inn, catch the bus to one of London’s newest museums – The Postal Museum. The Postal Museum gives visitors an insight into the fascinating way that post used to be moved around the capital. 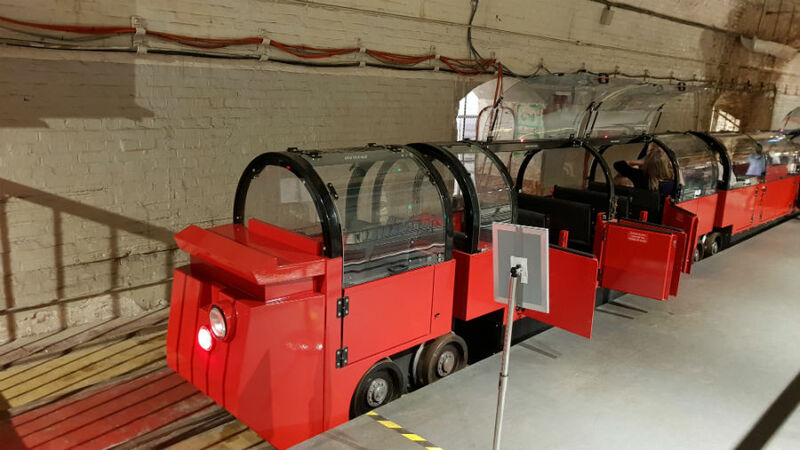 Due to road congestion, the Post Office built a small driverless railway under the streets of London to deliver post to sorting offices between Paddington and Whitechapel. The railway was 6.5 miles long with 8 stations, and was in operation between 1927 and 2003. The tunnels lay empty until June 2017, when the new Postal Museum opened telling the story of the Mail Rail, and offering a unique 15 minute journey through the tunnels on the railway itself. 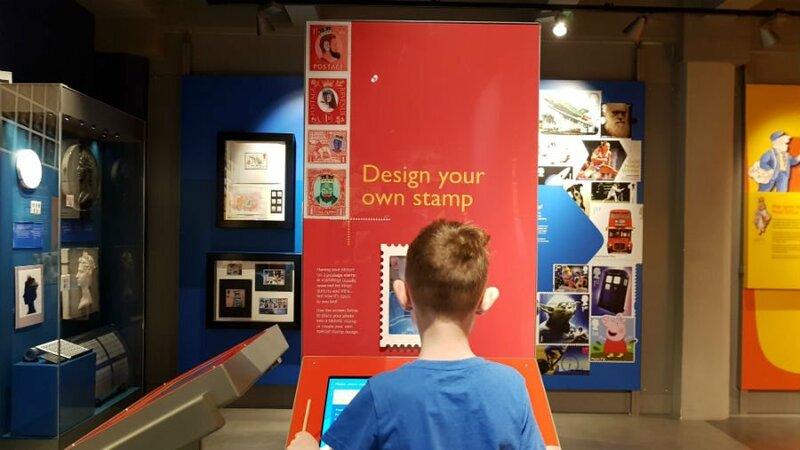 As well as the 15 minute train journey through the old mail tunnels, there are lots of mail themed exhibitions and a soft play (payable extra), at the Postal Museum and it is definitely worth a visit. 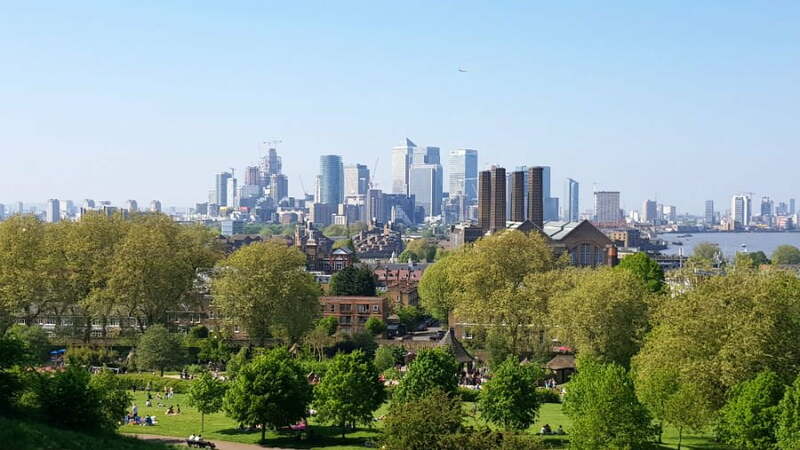 After spending a morning at the Postal Museum, you can either have your lunch there or have it at your next stop – Greenwich Park. 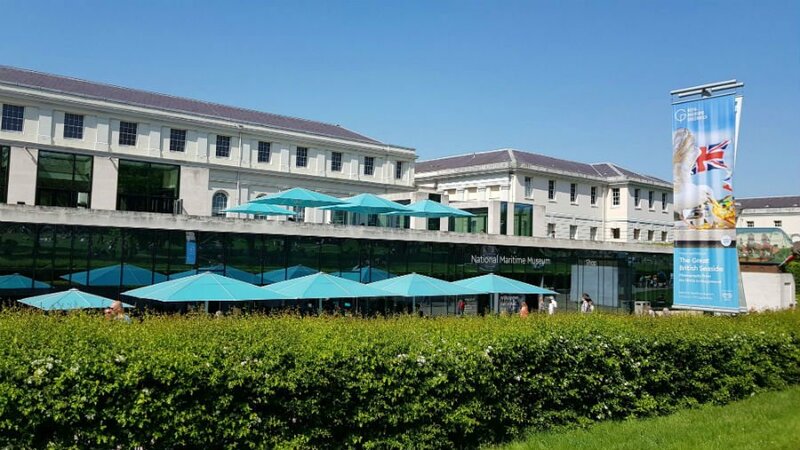 After the Postal Museum, you can either catch the Tube or bus down to Tower Gateway where you can hop on the Docklands Light Railway (DLR) to take you down to Greenwich Park where you can spend the afternoon. The DLR is a small driverless train which runs from Tower through Canary Wharf to Greenwich. As there are no drivers, toddlers can sit on the front seat and watch where they are going! It also doesn’t go underground so there is plenty to see from the windows. Greenwich Park is another of London’s Royal Parks and is home to the Maritime Museum and the Observatory. The first thing you will see when you come out of the DLR train station is the impressive Cutty Sark which is a historic sailing boat and one of the fastest of its time. You can go inside, but it is an equally impressive sight from the outside. Head to the park where your toddler can have a run around. There is also a boating lake, and a playground (with children’s toilets!) where they can have a play. Once you’ve had a play, muster up all your energy to climb to the top of the hill to get fantastic views of London. My little one had fun rolling back down the hill! 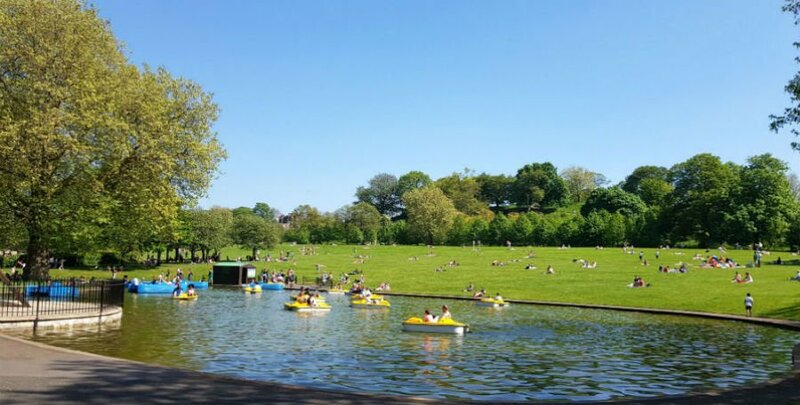 Depending on the weather you can chill out in the park with a picnic, or go to the Maritime Museum which has a free Ahoy! Galley for children less than 7 years old. When you have finished in Greenwich, take the Thames Clipper boat back up to Tower and your hotel. This only takes 10 minutes and adds another method of transport to your list, in addition to the Tube, bus and DLR! 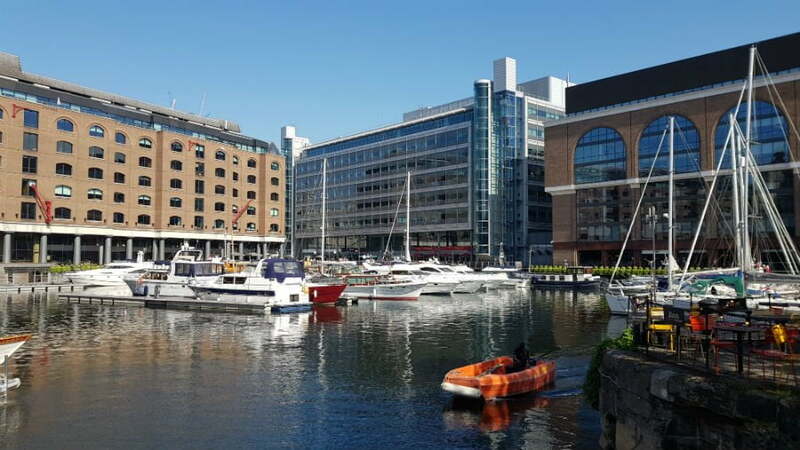 If your toddler still has some energy left, you could take them to look at the boats at St Katherines’ Dock which is about a 10 / 15 minute walk from the Premier Inn or let them have a run around in the pedestrianised area outside Tower Bridge. After all that, they will definitely sleep that night! 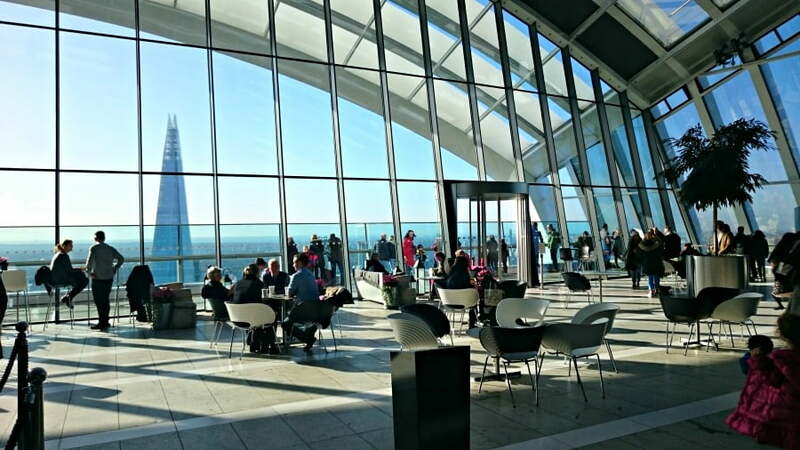 If you have time to do one thing before you head home, make it a trip to the Sky Garden. Get the lift to the top of the walkie talkie shaped skyscraper at 20 Fenchurch Street and let your toddler explore London’s highest public garden. There are 360 degree views of the London skyline, gardens to run around in and a café where you can buy cakes and pastries. The Sky Garden is free, but you must book your tickets in advance. 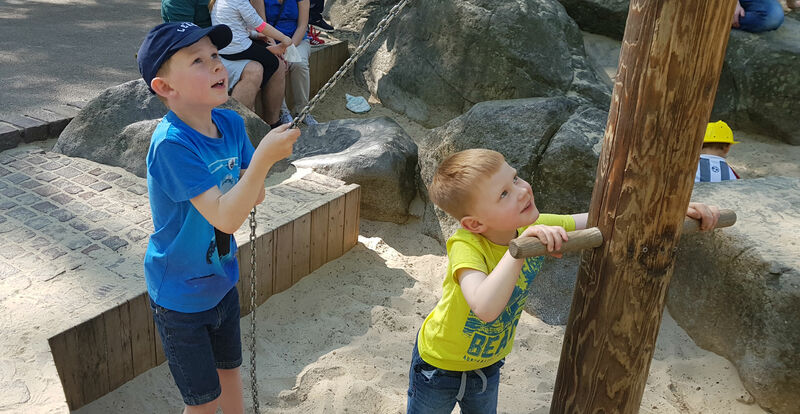 Have you got any recommendations on things to do on a weekend in London with toddlers?